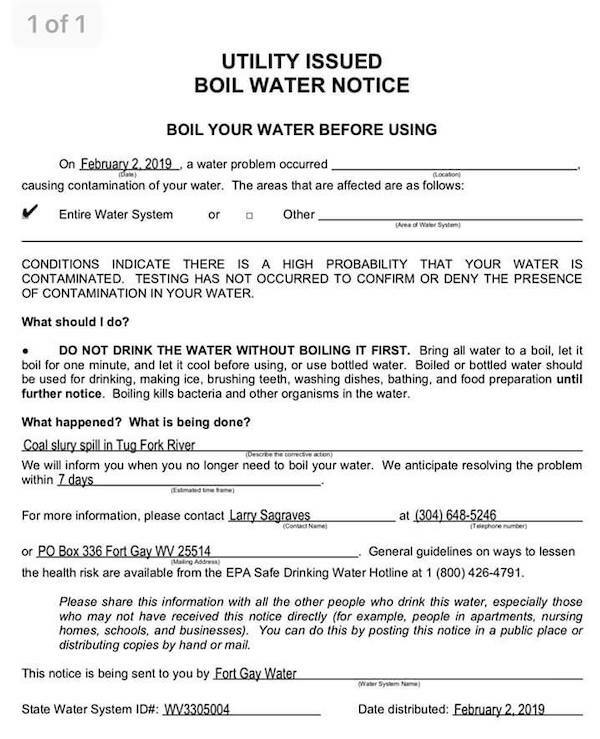 On Feb.2, 2019 The Mayor of Fort Gay, Joetta Hatfield, shared via Facebook that Fort Gay is on a mandatory Boil Advisory that is in effect for the next 7 days. The advisory is for the entire area of Fort Gay due to a large coal slurry spill into the Tug River. 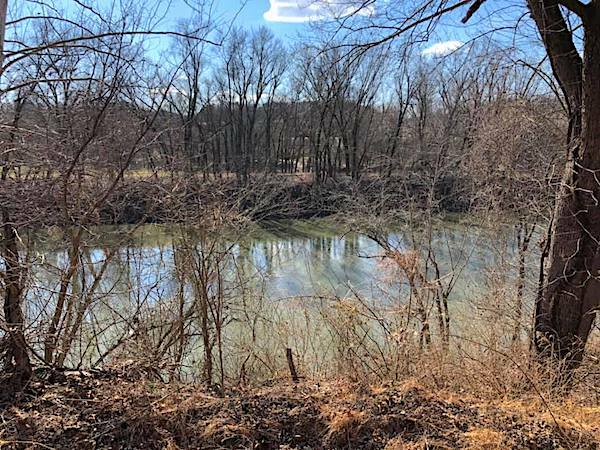 The Tug River is feeling the effects of an abandoned mine explosion from Buchanan County that had been abandoned for 25 years and just filling with water finally burst and flooded.